Description: Want a FUN way to network with business leaders, coworkers, clients? Join the Marion Chamber Dish Mob on March 8 from noon to 1:30 p.m. at Walt's in the upstairs room (ask for the Marion Chamber)! Join the Marion Chamber Mob! Every quarter, the Marion Chamber invites you to visit a Marion area establishment armed with cash, a smile, and a love of Marion. 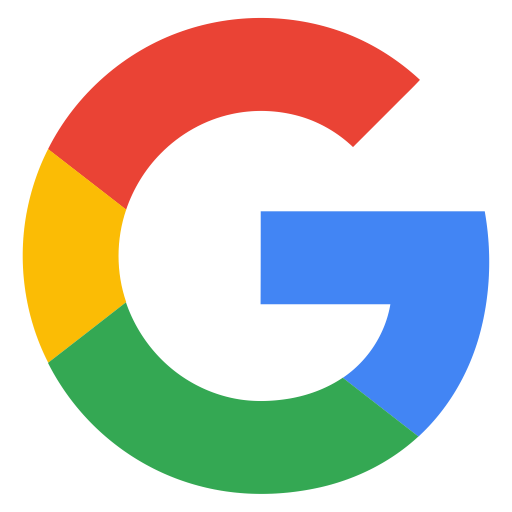 We call the business ahead of time to let them know they have been chosen as that quarter’s Mob destination, but we won’t let you know where the location is until the day before the Mob. The Marion Chamber Mob schedule is as follows: March - Dish Mob; June - Social Mob; September - Dish Mob; and December - Social Mob. Details: Want a FUN way to network with business leaders, coworkers, clients? Join the Marion Chamber Dish Mob on March 8 from noon to 1:30 p.m. at Walt's in the upstairs room (ask for the Marion Chamber)! 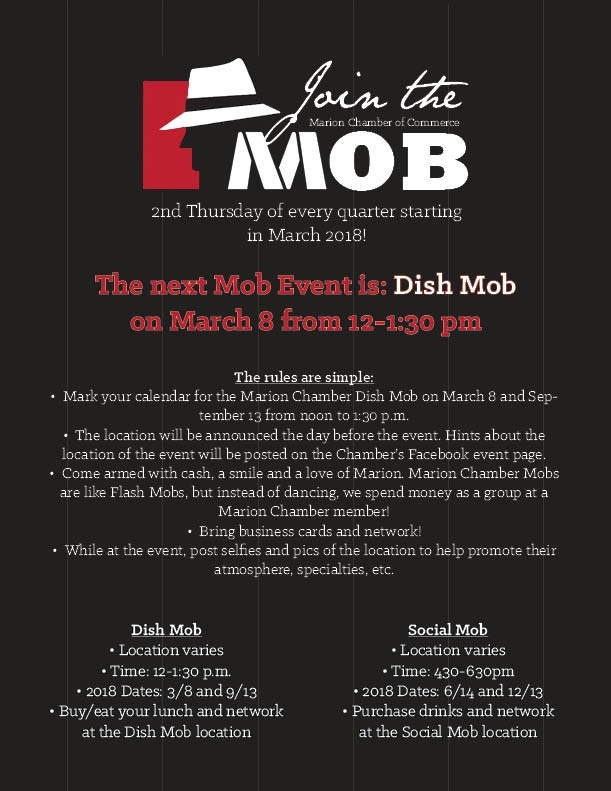 â€‹The Marion Chamber Mob schedule is as follows: March - Dish Mob; June - Social Mob; September - Dish Mob; and December - Social Mob.